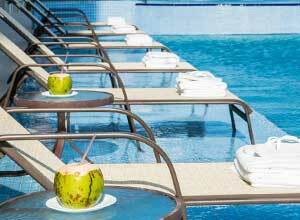 5 days from £1138pp plus international flights. If you feel like getting away from it all, to visit what is considered to be one of the most beautiful places on the Brazilian Coast, then look no further that a trip to Lencois Maranhenses National Park. Lencois are bed sheets or linen in Portuguese. This is a wonderful way to describe the rolling sand dunes, it's as though they are bed sheets hung out to dry, changing their shape as the sands shift with the winds. Spend a few days here. 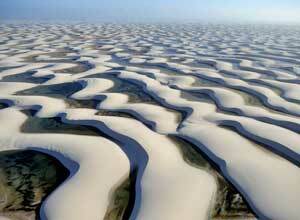 This unique natural phenomenon where desert-like dunes are interspersed with beautiful natural freshwater lagoons and lakes is a surreal sight. It's something quite different. You'll enjoy a guided 4 x 4 tour, where you can feel the sand between your toes and enjoy a swim in crystal clear lagoons. Also on this trip, spend the day gently sailing up the Rio Preguicas which translates as 'Lazy River' and top it off with a delightful lunch of the freshest seafood from one of the restaurants at Cabure. 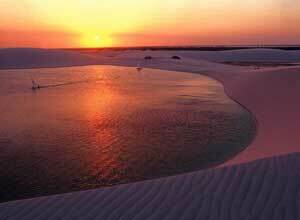 Spend your first and last night in Sao Luis, this is the gateway to Lencois Maranhenses. Rich in French and Portuguese colonial history this city is now a UNESCO World Heritage Site and worth a visit in its own right. This trip is best done between June and October when the lagoons are at their best. The heavy rains from January to June fill the lagoons. Once the rains stop, as time goes on, the water evaporates, and come late October most of the water has gone, so it's important to time your trip well. 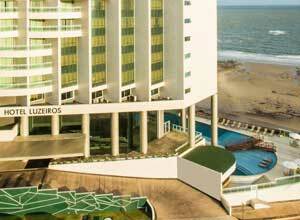 Arrive at Sao Luis airport where you are met and transferred to your hotel. The rest of the day has been kept free so you can relax after your journey and enjoy the ocean views and the hotel's outdoor pool. Alternatively you can venture out and explore the historic centre of the town, where cobbled streets and colourful colonial mansions hark back to a prosperous era. This is also where you will find several museums and art galleries. This morning has been kept free so you can have a slow start to your day or enjoy some of the optional activities available such as a scenic flight over the Lencois Maranhenses or a last stroll around Barreirinhas. After lunch, at about 1 pm, you are transferred back to Sao Luis by road. The evening has been kept free for you. Breakfast. Price notes: 2019 Prices based on 2 people sharing. Accommodation on a twin share basis; meals specified as included; ground transfers between Sao Luis and Barreirinhas; 4x4 tour in Lencois Maranhenses; boat tour. 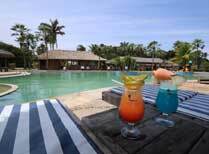 Flights to and from Sao Luis, meals not mentioned as included, drinks, tips, visa fees, travel insurance, optional extra activities. This holiday starts and ends in Sao Luis. Regional and international flights are not included. Regional flights will vary. International flights from the UK will start from around £750 per person. Departure dates: This is a tailor made trip. We can amend this trip to suit your travel plans. 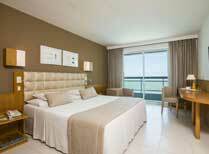 Chat to us to see how it can fit into your holiday. 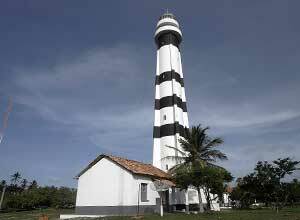 This national park is often described as one of the most beautiful places on the Brazilian coast. The vast sand dunes and their lagoons are stunning and incredibly photogenic.